Nintendo has announced that the long awaited successor to the Wii U exclusive third person shooter, Splatoon 2, will be launching on the Switch on July 21. That’s a bit later than I would have liked – after all, the original Splatoon launched in May, and the Switch right now has no major releases lined up – but I suppose at least it gives Nintendo time to polish up the game. That polish presumably includes the new modes the game will have, too, one of which was revealed today- Salmon Run, which is a co-op horde mode for the game. It uses Splatoon‘s glorious wonderful mechanics in a collaborative setting, and is sure to be a big hit- hopefully, it will support local play as well as online play. 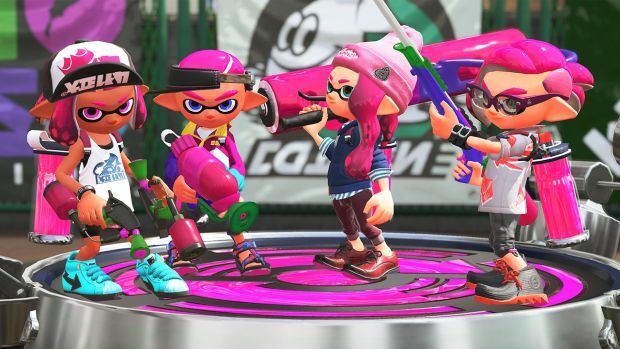 The original Splatoon‘s lack of local modes was a glaring flaw. Splatoon 2 will launch exclusively on Nintendo Switch on July 21. Stay tuned to GamingBolt for more coverage and information.